The relationship between artistic venues and their own selves is a fascinating topic, and anime is no exception in that regard. It’s true that this industry is often a bit too enamored with the smell of its own farts so this veers in the direction of referential content that rings hollow, but as many intriguing projects have shown, there’s room for much more. For starters, the depiction of art within art is an interesting common dilemma when it comes to anime; some degree of stylistic separation is required if you want it to come across as an artificial creation in that world, and that can be surprisingly tricky to nail for a very minor aspect. And since many shows are set in ordinary worlds where anime is just as commonplace as in ours, in-show animation is quite the regular occurrence. When the production circumstances allow for it, staff crews love to hand those sequences to real-life experts on whatever particular genre they’re riffing on – often magical girls and mecha anime, since those are classic staples of this industry with plenty of specialized veterans available. They are perfectly aware that most of their audience will never notice those meta details, and yet they still go out of their way to make those moments a bit more magical. Chances are that you’ve missed their efforts, so now’s your chance to feel retroactively thankful for their thoroughness. It’s a bit less common however to see anime about anime rather than simply featuring it, especially cases that deal with its creation. As hectic as making cartoons is though, the manufacturing process is a fun enough setup that there are a few notable one-offs revolving around it. It has worked as the premise for fun adventures in long-running anime, like Kunihiko Ikuhara’s fondly remembered Sailor Moon #21, which even managed to sneak in some real creators as important characters. Short films have given the theme a spin too, such as Kyoto Animation’s Baja’s Studio that celebrated both their own headquarters and the power of imagination itself. But if I had to single out the most brilliant short-length example, it would undoubtedly be Paranoia Agent #10. This episodic tale follows production assistant Naoyuki Saruta, as he does everything but assist the production he’s entrusted with. 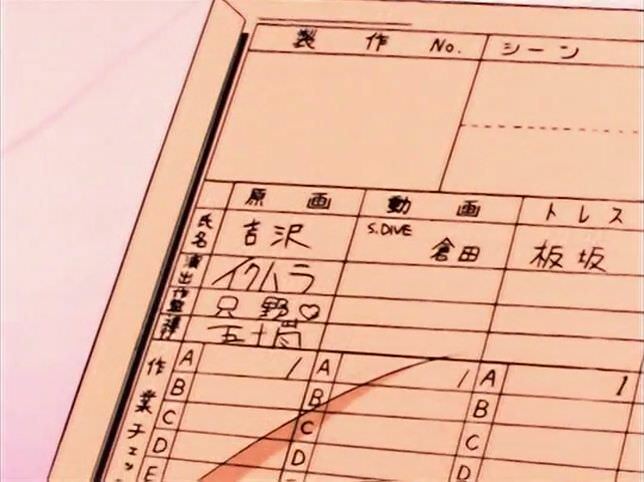 The fact that the schedule is falling apart is immediately established by the dubbing footage that gradually devolves into key animation, layouts, and even storyboards – a terrifying fate that slips into his own nightmares. Tricks inherent to animation spice up sci-fi maestro Tatsuo Sato’s storyboard, which blurs the lines between space, time, and reality in the way Satoshi Kon desired. Despite giving short lectures on production roles it has no intention to be educative or even portray actual studio dynamics, and frankly, its minutia is straight up wrong at this point anyway. Rather than showcasing reality, it captures the feelings that build up in those creative spaces and takes them to the extreme, which makes for a very compelling horror story. One of the best outings in the series, and honestly worth watching on its own if you’re interested in the subject matter. What about full-length works though? Dealing with modern media like Re:Creators recently did is one thing, but focusing on anime creation as the centerpiece of your narrative is so rare that it’s no wonder that almost every single fan would point to Shirobako if you asked for a series about making anime. And truth be told, that’s not a bad choice! It’s also kind of a personal favorite, as it’s both very educational and a touching story about young working adults sprinkled with Tsutomu Mizushima’s natural absurdity. It’s even partly responsible for the change in attitude within the fandom, which has been much more receptive to learning about the industry ever since the show aired. 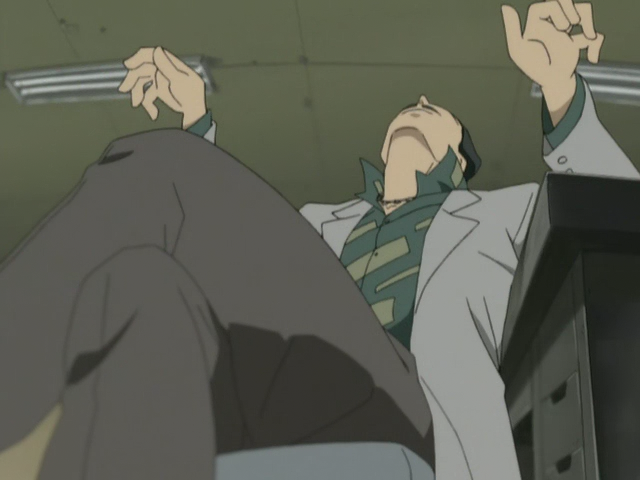 There’s no denying that it lacks the inventiveness of that Paranoia Agent episode, and that for the most part it’s a sadly barebones production that doesn’t make use of the tools animation has at its disposal. Yet at the same time, it would be an outright lie to claim that it doesn’t exploit the fact that it’s anime. There are dozens upon dozens of characters that mirror creators in this industry, and the production merges reality and fiction as artists were made to handle work related to their cartoon counterparts; cuts redrawn by the studio’s acting ace on both sides of the screen, the FX master appearing to save the day, a certain legendary veteran animator entrusted with a complex sequence in the show and in real life, even special pieces of background art that went through that same process. Director Mizushima and P.A. Works president Horikawa couldn’t ensure lavish production values, but they made use of their extraordinary connections to at least deliver those charming winks. These are all carefully crafted, lovely details, worth admiring even if they’re an exception to this production rather than the rule – and I don’t mean to imply there’s few of them by this, since the show is chock-full of them! Enough to write a post compiling them one of these days, but for now I leave you with this piece of trivia: the disastrous production assistant in episode 10 of Paranoia Agent and Shirobako’s walking calamity Tarou, who occupies that role in the studio as well, share the same voice actor. I choose to believe that was very intentional casting by Mizushima, and so should you. Ever since then there have been a few interesting industry-focused projects like the adaptation of Sore ga Seiyuu and Girlish Number, but perhaps we’re better off looking back instead. Because, even though now it’s mostly forgotten, anime about making anime used to be synonymous with Animation Runner Kuromi. In its first OVA, Mikiko Oguro, forcibly nicknamed Kuromi, joins fictional yet believably messy Studio Petit right after graduating from an animation course. Despite her assumptions that she would start by simply assisting the project, she’s immediately selected as the new production desk – essentially the person running the manufacturing process, ensuring the overall schedule is maintained. 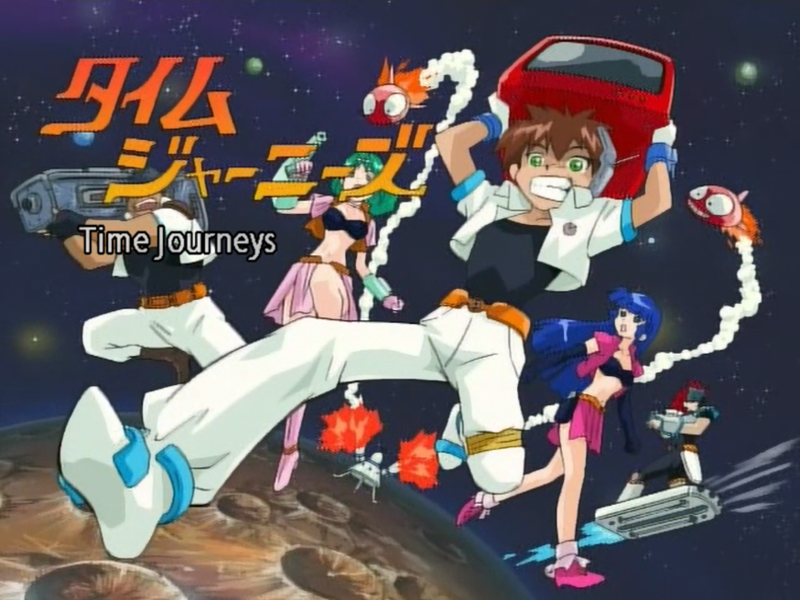 Her first task is directly rescuing the second episode of definitely-not-Time-Bokan-wink Time Journeys, which has but a few weeks to complete its entirely unfinished key animation process. Her misadventures proceed as amusingly as you would expect from an OVA directed by Daichi Akitaro, who is right about the perfect choice to handle something that mines the quirkiness of anime creators for humor’s sake. Alongside all the wacky gags he manages to get an important point across, though: communication is a fundamental skill for those entrusted with supervision duties in this industry, not just on the production side; it’s also very important for directors, storyboarders, animation directors, and the heads of every department to be able to get across exactly what their vision entails. Animation Runner Kuromi is meant to be more of a fun time than an educational one – and even if it had been, anime changes so fast that its 2001 details wouldn’t necessarily apply anymore – but its thesis is entirely valid. 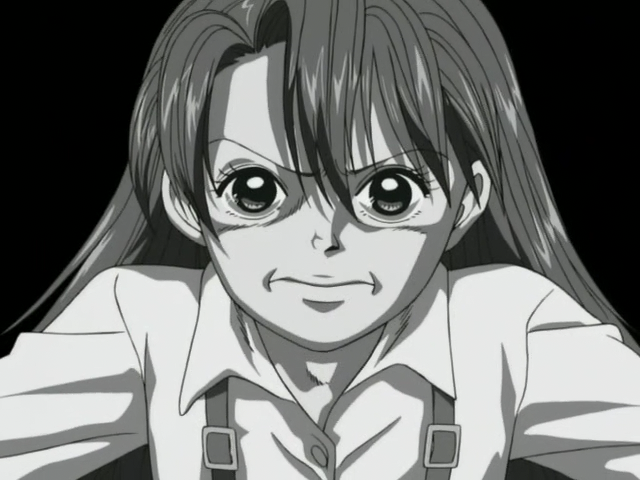 Kuromi received a sequel a couple years later, featuring the titular character’s struggle as she tries to coordinate the production of 3 overlapping anime at their small studio. While the concept is rather simple, contrasting her love for the passionate act of creation versus an experienced producer’s result-focused vision, this second OVA is by all means much more ambitious. The original wasn’t without its charm, but honestly didn’t have all that many memorable sequences; this ridiculous driving scene, likely animated by veteran Takaaki Wada, that plays right after they talk about the skill required to pull those off is easily its best visual gag, as well as a nice nod to Lupin III’s iconic chases through its parodied self. 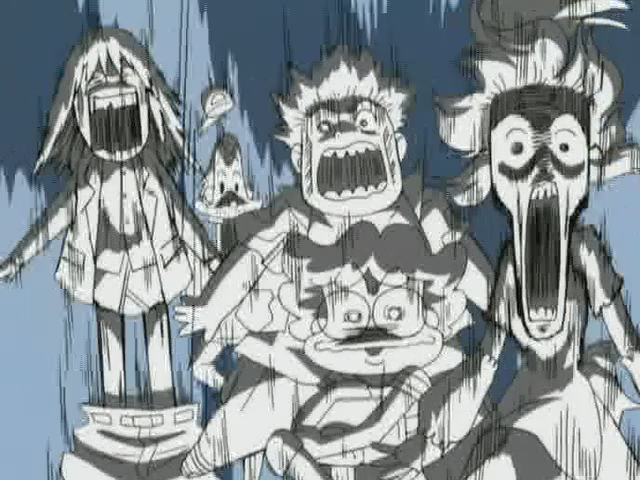 And rather than an exception, Animation Runner Kuromi 2 makes scenes like that its bread and butter. The robust list of animators combines the best returning talent, like Takashi Mukouda and the aforementioned Wada, with new stars like Yoshihiko Umakoshi and Tadashi Hiramatsu. The result is way livelier animation, a much wider variety of drawings ranging from amusingly referential to fittingly ludicrous, plus layouts that can by themselves describe just how pompous the villain is. 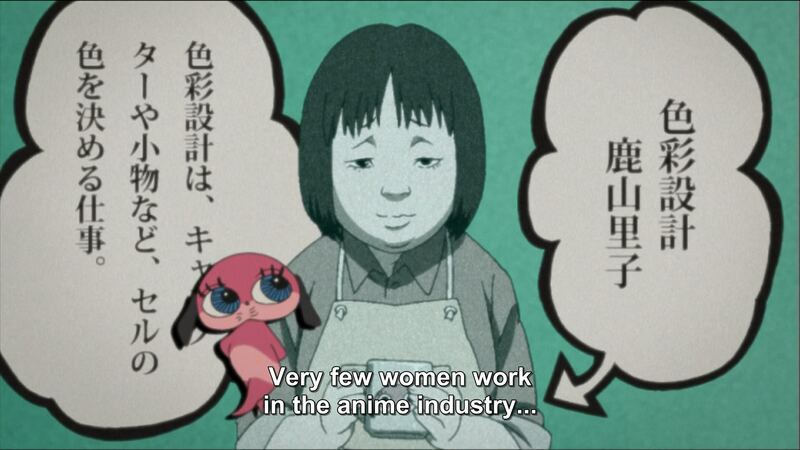 And beyond all that, this new iteration of Kuromi puts more focus on those who actually make anime. 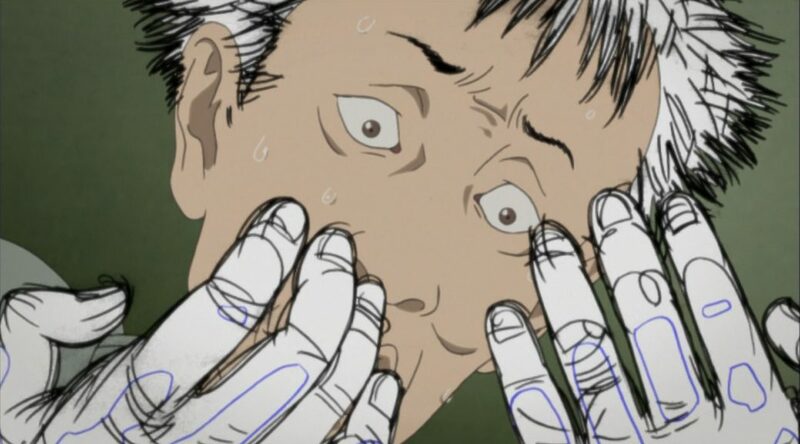 The industry nods increase and are incorporated into the craft in a deeper way, similarly to Shirobako; the most amusing instance of that is of course director Akitaro himself animating the footage meant to represent poor uncorrected anime, turning his lack of skill on that front – he became a director without ever animating after all – into an actual asset. On multiple levels, Animation Runner Kuromi 2 feels more comfortable with the fact that it’s an anime about anime. There are many angles to approach this meta theme from, as seen in the recent love letter to this hobby by the name of Anime-Gataris. The show, a kids anime in all but broadcast slots, really understands how anime is consumed nowadays, and its passion feels so sincere that the incessant references to other titles come across as playful rather than desperate winks. An entire arc is then dedicated to the craft of anime, staying fairly authentic despite the show’s outrageous nature. That instructional intent blending into otherwise silly adventures comes as no surprise however, since studio Wao! 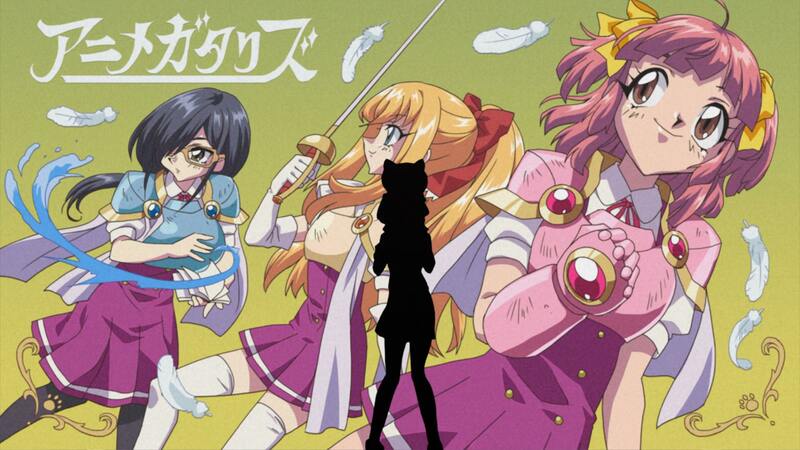 World is one of the few genuinely thematic anime production companies, having made edutainment into their brand – as seen on their previous show Time Travel Girl, which of course is referenced in Anime-Gataris. Things get even more interesting when the last arc hits and addresses the show’s recurring unnatural quirks that the audience had been trained to parse as simple gags. To keep it as vague as possible, since the narrative ends up being weirdly compelling and is worth diving into without much of a clue, the anime about anime quite literally becomes anime; blink and your friends might become 90s monstrosities that were never meant to be, and be careful with both the 4:3 abyss and the signs to mark time has passed. Even without the raw inventiveness of the most brilliant creators, and while being the most modest of all the productions we’ve chosen to highlight, Anime-Gataris still finds its own neat ways to toy with the medium. Unlike the less inspired takes on meta anime, self-awareness is the launching platform, not the punchline. 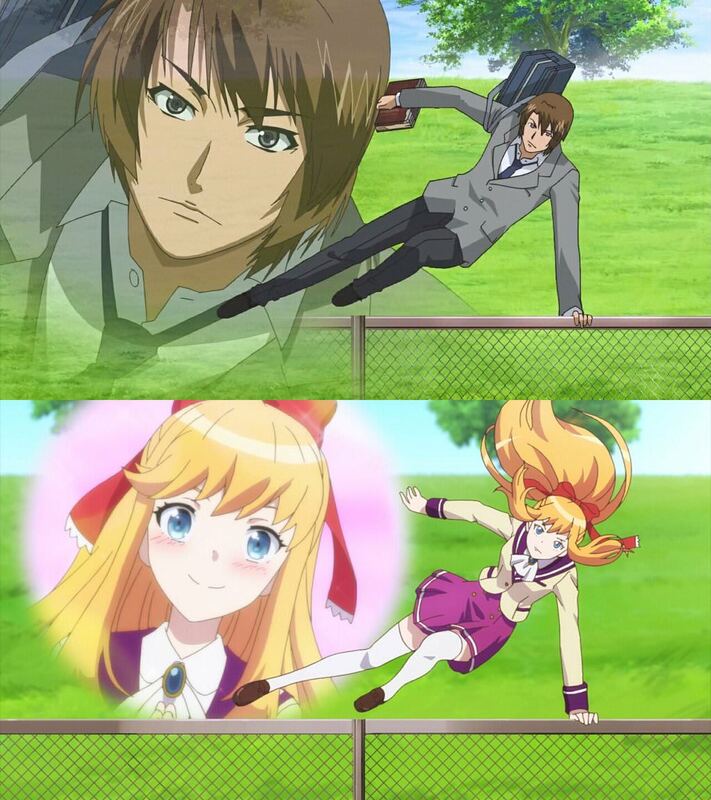 Chances are that we’ll never have an ideal anime about anime. Not only is it hard to unite the brilliant minds and production muscle required under a relevant premise, the rapidly evolving nature of the industry and fandom make these shows have an expiration date – not that they stop being valid pieces, but it means that it’s essentially impossible to have a perfect show to encapsulate anime. But to be frank, we don’t need that to begin with. As flawed as they can be and despite the limited scope in many cases, these experiments throughout the years have been very interesting in their own right, as unique showcases of how different teams of creators approach their own work. The artists who put up with this industry often do it out of sheer love, so we’ll never get tired of seeing how these people incorporate the art they adore into itself. Here’s for more years of anime animating anime. More than a little bummed that you failed to include Episode 49 of Hoshi no Kirby and its take on the animation industry. The first time I’ve seen an anime poking fun at anime production was Komugi-chan’s episode 4. It was a very simple depiction, but it stuck with me. Considering that whole series was a love letter (or parody?) to otaku culture, it’s no wonder they’d have an episode focused on the content creation too. That might very well be how a bunch of fans first heard of about it, lol. Thank you silly comedy for somehow educating the fandom.